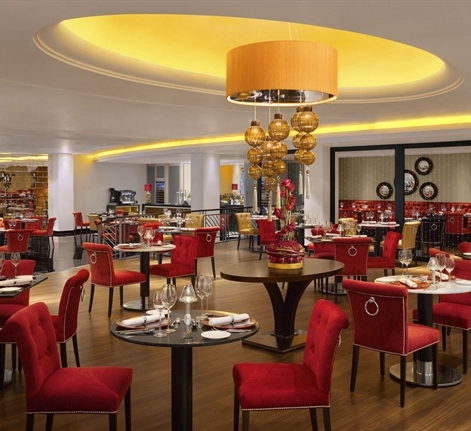 Sheraton Skyline Hotel is proud to be home to Madhu's Heathrow. Experience Madhu's authentic Punjabi cuisine with a Kenyan twist, including secret recipes handed down over four generations. The highlight of the innovative menu are the dishes cooked on the Robata Grill. Whole Seabass in an onion and carom seed marinade. New Zealand lamb chops, marinated in ginger and mild spices. Seared King scallops and asparagus, with a tangy relish. Traditionally spiced and marinated chicken kebabs. Succulent prime cut lamb ribs, marinated in chilli and lemon. A delicacy of lamb mince kebab cooked on skewers. Dill and spice marinated fillets of Scottish Salmon in dill marinade, served wrapped in a banana leaf. Basil, coriander, cumin, garam masala marinated chicken. Indian cottage cheese paneer wedges sandwiched with a chili mango relish. Green peas, root vegetables and cheese with a touch of spice. Selection of crisps Lentil, Cassava, Sago, Lotus Roots with accompanying chutneys. British marsh samphire and baby spinach leaves, marinated with chilli, turmeric and fresh coriander. Crisp fried in a chickpea flour coat and served drizzled with yoghurt and chutneys. Street food favourite of fried wheat crisps, gram flour vermicelli, potato mash, red onion, green mango, drizzled with yoghurt, green herb chutney, date and tamarind chutney and garnished with fresh coriander. A Punjabi favourite of crisp flaky pastry filled with spiced potatoes and peas. Potato patties, filled with garden peas and served with a tangy chickpeas, yoghurt and tamarind chutney. Puffed semolina cases filled with sprouted moon beans, chickpeas,served with a spiced chilled mint and coriander shot and tamarind chutney. Tempura fried king prawns, tossed with a wasabi and mango dressing. Earthy mushrooms and crispy duck with greens in a tangy tamarind and fig relish. Chilli and miso flavoured grilled eggplant with bocconcini and confit tomatoes. Fillet of Tilapia (fresh water fish from Kenya's Lake Victoria) braised in Madhu's unique masala flavoured with roasted carom seeds. A recipe created by the infamous "Madhu". Chicken on the bone in an aromatic home style curry. Chicken on the bone sauteed dry with rich aromatic spices. Another Kenyan Punjabi favourite. British lamb shank dices on the bone, slowly braised with a multitude of spices. A rich velvety curry with a distinctive taste of bone marrow. King prawns, cooked in a traditional Iron wok with a rich onion masala sauce. The veritable house favourite of tandoori grilled chicken tikkas, simmered in buttery fresh tomato sauce, flavoured with fenugreek and finished with cream. A classic dish of slow cooked lamb leg and robust spices blended with fresh mustard and spinach leaves. Succulent king prawns braised in a creamy coconut curry spiked with fresh turmeric, green chillies, ginger, mustard seeds and curry leaves. Fresh fenugreek leaves and cauliflower cooked with ginger, cumin and onions. Slow cooked black lentils braised with butter and tomato, flavoured with fenugreek and garlic. Stir fried okras with onions, tomatoes and a touch of spice. Stir fried seed potatoes tempered with cumin seeds, smoked red chillies, turmeric and fresh coriander. Basmati rice infused with saffron, cinnamon, cardamom, cloves, cumin, bay leaves and green peas. Leavened wheat bread cooked in the oven in the classic tear drop shape. Layered and flaky whole wheat bread cooked in a clay oven. A large handkerchief thin bread, made by stretching and manipulating the dough. Cooked on an inverted iron wok. Split yellow lentils tempered with turmeric, garlic, cumin and smoked red chilli. Madhu's deliver authentic Punjabi cuisine with a Kenyan twist With secret recipes handed down over four generations of the Anand family, owners of the Madhu's brand, the innovative menu is dominated by the Robata Grill which stands in full view of diners in the stylish surroundings of our restaurant. The restaurant's chefs have worked painstakingly to create dishes that achieve a careful balance between the flavour of the different meats and vegetables, the spices and the char-grill. 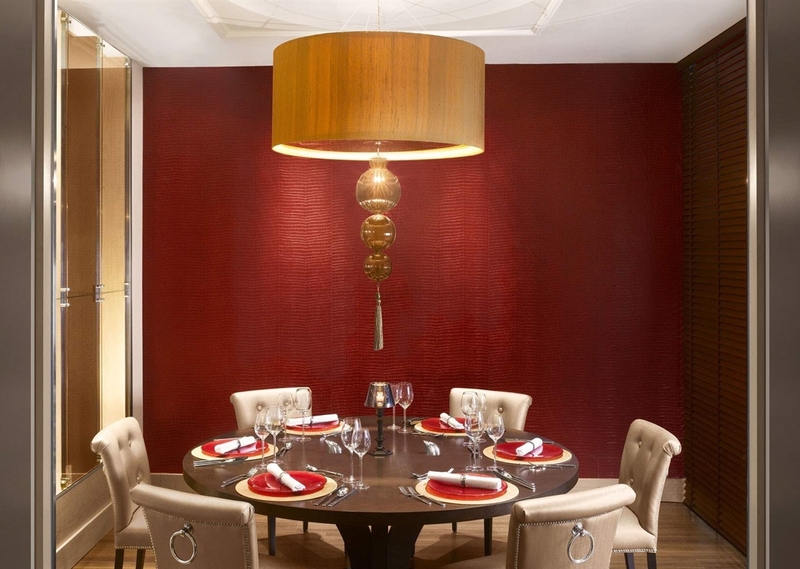 Each wine has been carefully selected to enhance the overall dining experience, whether it is a table for two, or a private party in the exclusive Chivas 18 and Chivas 12 private dining rooms. Chef Gurmeet Chef Gurmeet was born and brought up in India, where he carried out his culinary studies at a highly prestigious institution. He developed his culinary expertise over time, working in various five star hotels in India where he had the opportunity to work alongside some of the best Indian chefs in the country and lead their kitchen brigades. Here in Europe, his work has been applauded for its consistent excellence.